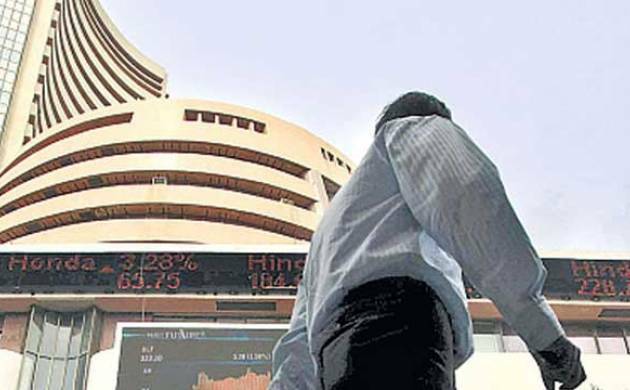 Investors set aside caution momentarily over the US Fed rate-setting meet and Brexit vote to help domestic equities rise for the first time in five days as a string of key Cabinet decisions pushed the BSE Sensex higher by 331 points to 26,726.34. Investors set aside caution momentarily over the US Fed rate-setting meet and Brexit vote to help domestic equities rise for the first time in five days as a string of key Cabinet decisions pushed the BSE Sensex higher by 331 points to 26,726.34. Optimistic buying on hopes that Parliament will approve the long-pending Goods and Services Tax (GST) bill in the upcoming monsoon session also helped. State-run SBI jumped on reports that the Centre has given approval to the merger of five associate banks with itself. The bank topped the gainers list, rising 3.90 per cent to Rs 215.65. State Bank of Bikaner and Jaipur and State Bank of Tranvancor rallied 20 per cent each to hit upper limit of Rs 599.60 and Rs 478.90, respectively. Airlines were also in limelight on the Centre’s approval to the much-awaited civil aviation policy that seeks to strengthen regional connectivity and tap the sector’s growth potential. Spicejet soared 3.51 per cent to Rs 66.40, InterGlobe Aviation rose by 1.90 per cent to Rs 1,008 while Jet Airways gained 0.21 per cent to Rs 561. Overseas investors lapped up shares after MSCI decided to delay inclusion of mainland-traded Chinese A shares in its key emerging market index. Participants will keenly follow the US Federal Reserve’s policy decision and Brexit referendum next week for more cues. The BSE Sensex opened gap-up and hovered between 26,752.59 and 26,446.59 before closing at 26,726.34, showing a gain of 330.63 points or 1.25 per cent. The gauge had lost 625 points in previous four sessions. The 50-issue NSE Nifty surged 97.75 points or 1.21 per cent to end above the crucial 8,200-level at 8,206.60. “It was a day of gains on the bourses today as benchmark indices opened the day on a positive note and rallied by more than 1 per cent, snapping a four-day losing streak,” said Shreyash Devalkar, Fund Manager Equities, BNP Paribas MF. Overseas, most Asian markets reversed its morning losses to end higher despite continued jitters over the possibility the UK may opt to exit the European Union as well as concerns over the outcome of the Fed meeting. Key Asian indices, China, Hong Kong, Japan, Taiwan and Singpaore rose by 0.21 per cent to 1.58 per cent while South Korea’s Kopsi eased 0.16 per cent. European indices, like France, Germany and the UK rose between 1.10 per cent and 1.72 per cent. Back home, out of the 30-share Sensex pack, 25 scrips ended higher while only five closed lower. Major gainers were SBI (3.90 pc), NTPC (3.88 pc), Larsen (3.38 pc), Bharti Airtel (2.82 pc), Maruti (2.50 pc), Hero MotoCorp (1.83 pc), ITC (1.80 pc), Bajaj Auto (1.60 pc), GAIL India (1.53 pc), Tata Steel (1.51 pc), Cipla (1.48 pc), Asian Paints (1.29 pc), HDFC Bank (1.25 pc), ICICI Bank (1.22 pc) and Infosys (1.19 pc). However, Dr Reddy’s declined marginally by 0.51 per cent, Axis Bank fell 0.35 per cent and Adani Ports fell 0.22 per cent. Among the S&P sectoral indices capital goods rose by 2.26 per cent followed by utilities 2.06 per cent, power 1.99 per cent, bankex 1.38 per cent, IT 1.31 per cent, finance 1.16 per cent and oil&gas 1.14 per cent.The market breadth remained positive as 1,674 stocks ended higher, 954 closed lower while 176 ruled steady. The total turnover rose further to Rs 2,948.02 crore from Rs 2,733.26 crore yesterday.